The vilage of Cerillos just south of Santa Fe on New Mexico's Turquoise Trail is in a time warp. Though charming in a dissolute sort of way it also has a forboding subtext where you're not at all sure that you're welcome. 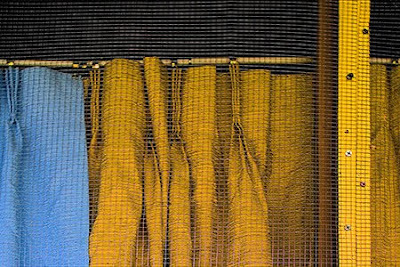 This abstract of billowing curtains behind mesh and glass captures neither but appeals nonetheless.